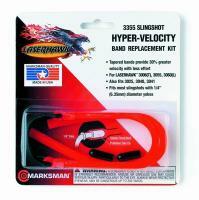 If you’ve broken a band on your slingshot or are looking for replacement slings, don’t fret. 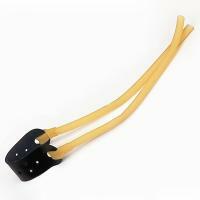 At Camping Gear Outlet, we carry a large selection of slingshot bands & parts to repair or upgrade your slingshot. 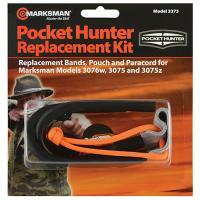 Our replacement bands fit a variety of different models, so you won’t have to throw away your old or damaged slingshot. And remember, all of our slingshot bands and parts, like every product we sell, come with a 30-day 100% money-back guarantee, so you can buy with confidence. It was an exact replacement for the one that broke. The service was quick, right the first time great service - LOVE IT! Works fine. Great service from Camping Gear Outlet. Shipped order promptly and correctly. This is a good replacement band. It is nothing super special, although I noticed more tension on the band which increased the speed of my shot substantially. There is no warp in the band to throw off accuracy. All in all, it is a good buy!